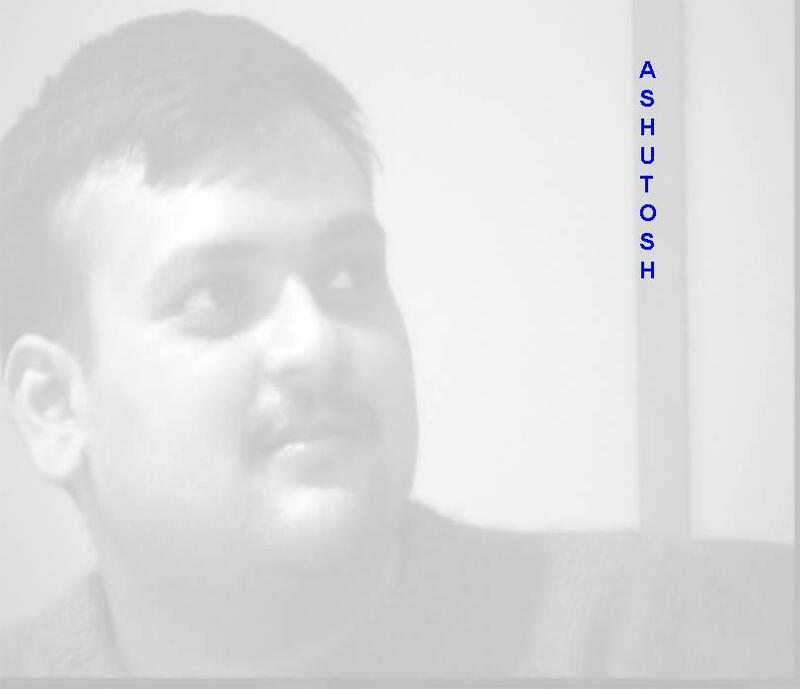 My name is Ashutosh Chaturvedi. I am in my late 20s , an Indian citizen living in Delhi and a software engineer by profession. I speak Hindi and English well. First, I feel that I should describe what kind of person I am. I do always look at the bright side of things and life. I am rather goal-oriented and have always try to overcome whatever difficulties may come my way.I do wish that I could have more time for myself to do things of personal interest, such as spending more time with my colleagues, friends, and family. It is important to enjoy life to the fullest and I beleive in that. I am interested in people and societies in general, in today's political world situation, in latest computer science technologies. My research interests include, but are certainly not limited to: software architecture & design, object oriented programming, and software development methodology. In addition to these research interests, I also take an interest in software standards and Microsoft related technology.